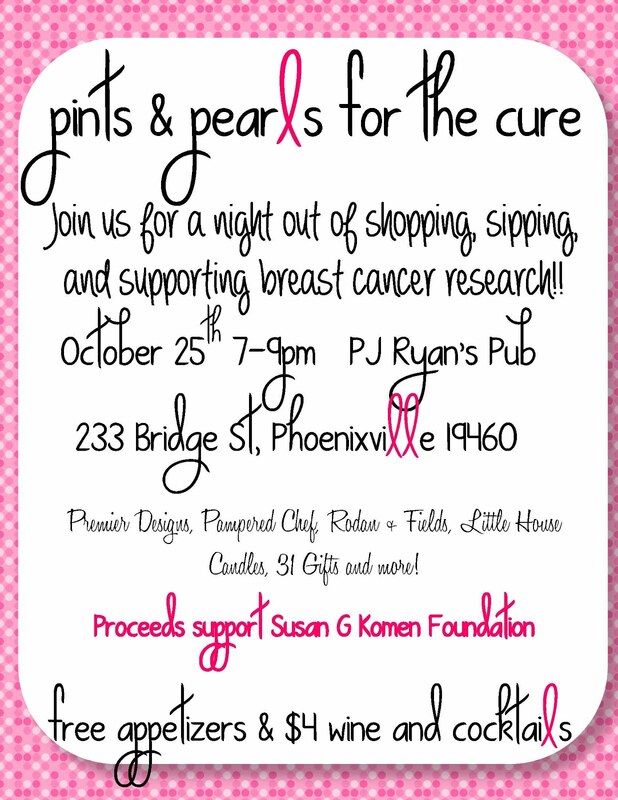 This Thursday night from 7-9pm, join several local businesses at PJ Ryan's for 'Pints and Pearls for the Cure'. The event is being hosted by Premier Designs, Pampered Chef Rodan & Fields, Little House Candles, 31 Gifts and more and features free appetizers and $4 wine and cocktails. 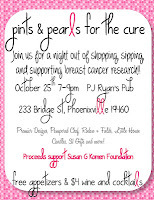 Proceeds will go to the Susan G Komen Foundation.